Wonderful photos! I would never have thought to go to the Grand Canyon to capture lightning, but after looking at your work it makes me wish we’d had the experience when we visited. Thanks, Lulu. 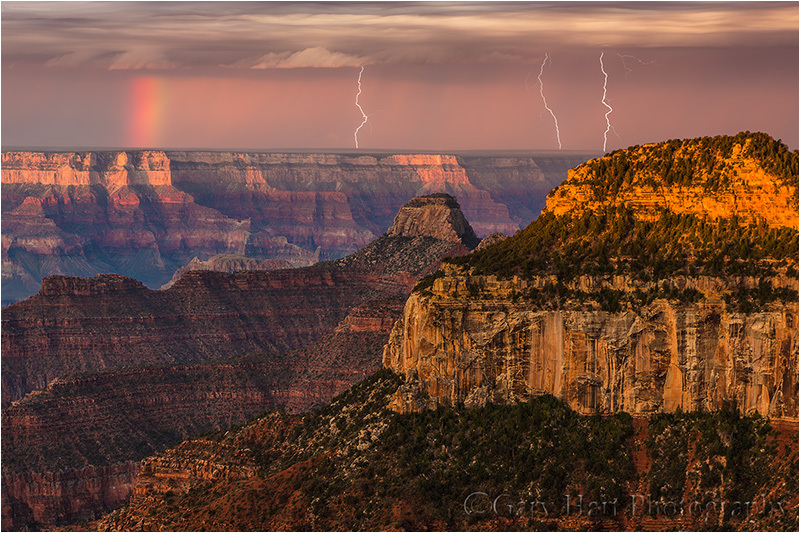 You have a pretty decent chance to see lightning if you visit the Grand Canyon in July or August. Your lightning images are a thrill to view, Gary. Your tips on shooting and, most importantly, on safety are terrific. Thanks for a great post. Question for you… Do you do your post-processing in Photoshop or Lightroom or a combination of the two? Thanks Gary, very insightful post and stunning photos as usual!